Precision medicine communication: What could go wrong? We’re entering an era of precision medicine—healthcare tailored to the individual, based on a range of biological and psychosocial factors—and with it comes both great enthusiasm and deep concerns. Developments in genomic medicine and digital medicine are unfolding rapidly, and healthcare practitioners and communicators must quickly prepare to facilitate the implementation of precision medicine approaches. Most importantly, we must be ready to fully engage patients and the public in the process. What are the potential challenges that could arise during precision medicine communication processes, and how can we address them? 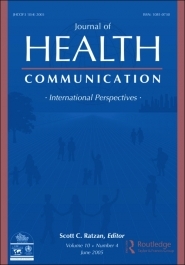 These questions drive the focus of my current PhD work in health communication. Over the past 2 years, I’ve had the opportunity to deepen my understanding of precision medicine and exchange ideas with many people on the forefront of precision medicine implementation, first at the Frontiers in Precision Medicine symposium hosted at University of Utah, and then during a summer fellowship at the National Cancer Institute. If you’d like a copy of the full article, I’m happy to provide it. Stay tuned for details on empirical projects launched in 2018-19 that pertain to communication of uncertainty in precision medicine. Updates will be posted here and on the ResearchGate project page. If you’re interested in discussing or collaborating, please feel free to contact me on ResearchGate or via University of Utah. This entry was posted in Uncategorized and tagged ELSI, individualized medicine, personalized medicine, precision medicine, precision medicine communication on September 9, 2017 by Chelsea.